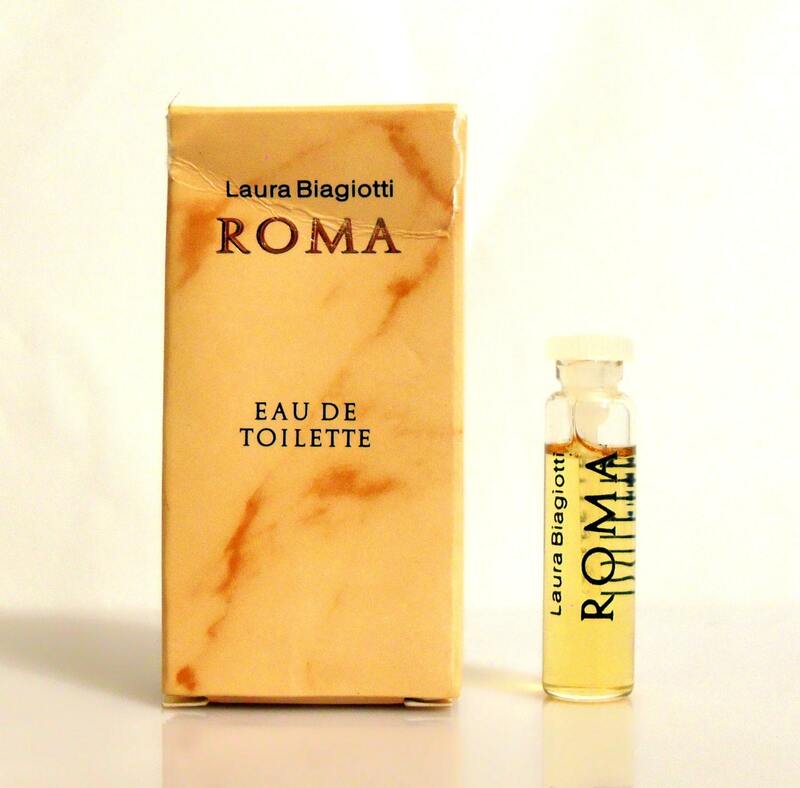 Vintage c1980s Roma by Laura Biagiotti 0.05 oz Eau de Toilette Splash Sample Vial in Box. The vial is about 90% full - please see picture for actual fill line. Roma by Laura Biagiotti is a spicy oriental fragrance for women. Roma was launched in 1988. I am cleaning out my sample boxes and selling many of my vintage, hard to find and discounted perfume samples. Most of these are manufacturer's samples and may have the words "Not for Sale" or "Gift Not for Resale" on the card as these were promotional items from the manufacturer at the time of release and were not intended to be sold by the original retailers.